BMW cars, known for their classy and elegant styling along with a smooth yet powerful performance, further personify their image, with BMW India launching the BMW 7-series Signature model in India, which is priced at Rs 1.22 crores (ex showroom India), around Rs 19 lakhs more than the BMW 730Ld. 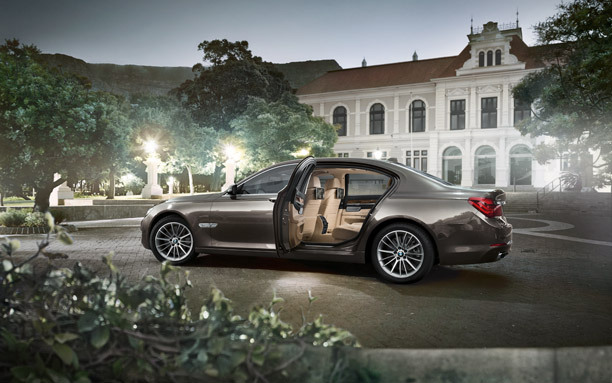 The BMW Signature model is completely based on it 7-series sibling, the BMW 730Ld model. But the tag ‘Signature” sets it apart from its sibling, with an array of top-notch special features included in this model such as: a 1200-Watt Bang and Olfusen high-end Surround Sound music system, with 16 speakers to give excellent acoustics and an Integral Active Steering wheel- which offers better control at high and low speeds and can also make the rear tyres turn in the opposite direction, to provide better parking assistance and turning radius. In terms of aesthetic upgrades the BMW Signature comes with exclusive Nappa leather upholstery, an extended wood trim, individual rear reading lights and a 13L cool box-for chilled drinks. The Signature comes in two metallic colors an Imperial Blue Brilliant Effect and Mineral White. Mechanically the BMW Signature is powered by the same engine in the 730Ld- a 3.0 liter, V6 twin-turbo diesel engine, which produces 258 BHP of power and 560 Nm of torque. The engine is mated to a 8-speed Automatic transmission which helps the BMW clock 0-100 km/h in 6.2 seconds and on to a top speed of 250 km/h. 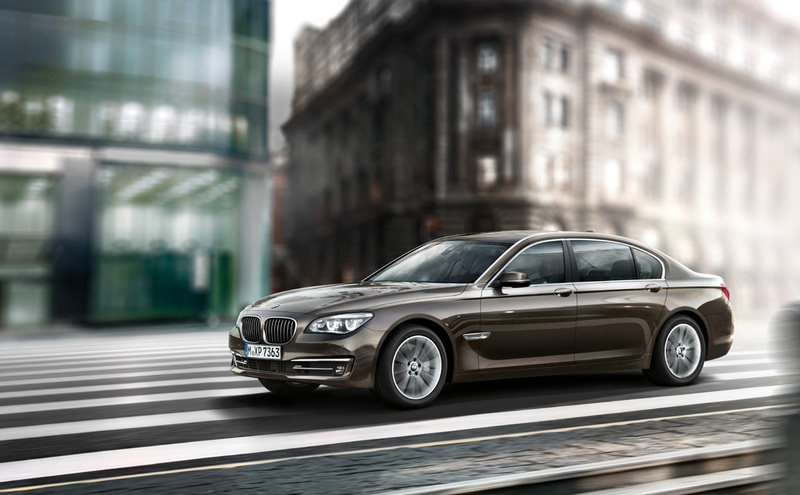 The BMW 7-series Signature model redefines class and elegance and is sure to heat up the competition among its competitors the Audi A8 facelift, 2014 Jaguar XJ and Mercedes S-class.